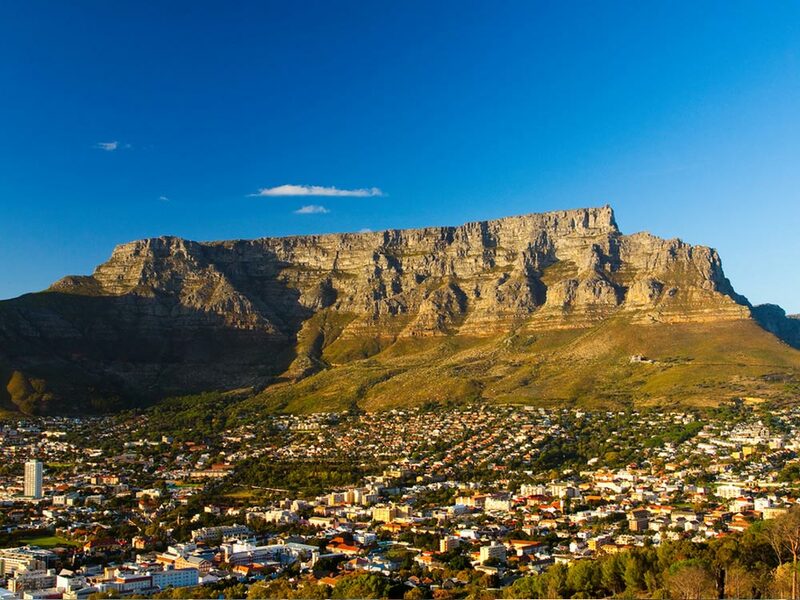 Teeming with wildlife and botanical treasures, Table Mountain dominates the skyline of the ‘Mother City’. Endlessly pouring tablecloth of clouds amply justifies its riveting presence between the Devil’s Peak and Lion’s Head sentinels. With its gloomy ravines, rugged cliffs, and indigenous jungles, the mountain creates a magical aura that interweaves with the urban sprawl. 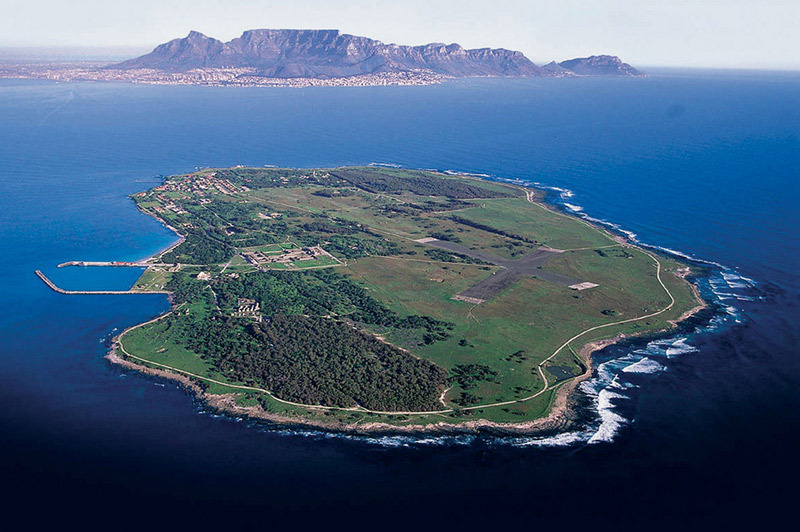 As the summit itself offers a visual delight of blue hazed mountains of the hinterland and panoramic views of Robben Island, it is hard not to be enamored of Table Mountain. 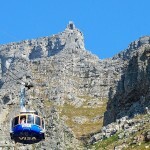 Ride Table Mountain Cableway – The Table Mountain Aerial Cableway was opened in October 4, 1929. It’s a much safer, faster, and convenient 1200-meter ride that carries visitors from the Lower Cable Station on Kloofnek Road to the top of Table Mountain. 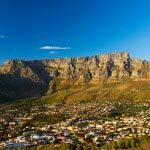 Experience the sunny days and balmy evenings atop the mountain by taking a cable car to the summit, and be amazed by the jaw-dropping views of Cape Town, Robben Island, and the Cape Peninsula. 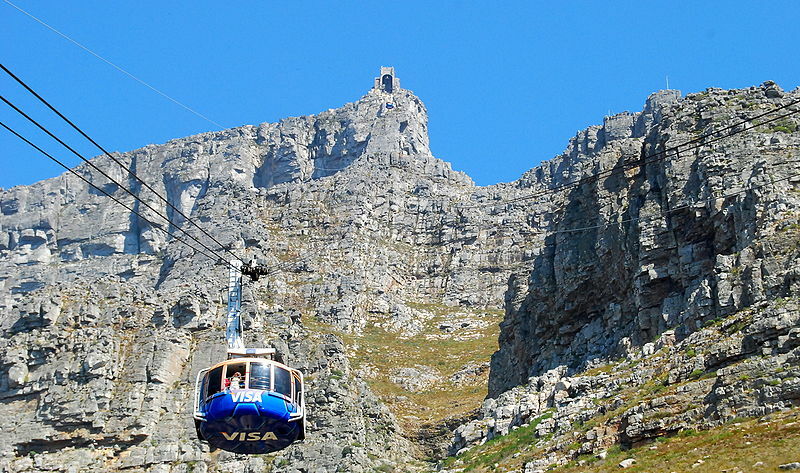 Visitors can book tickets for the cableway in advance to avoid any disappointment. Visit Table Mountain National Park – The mountain received a national park status in 1998. It stretches from the mountainous spine of the Cape Peninsula to the tip of the Cape Point. 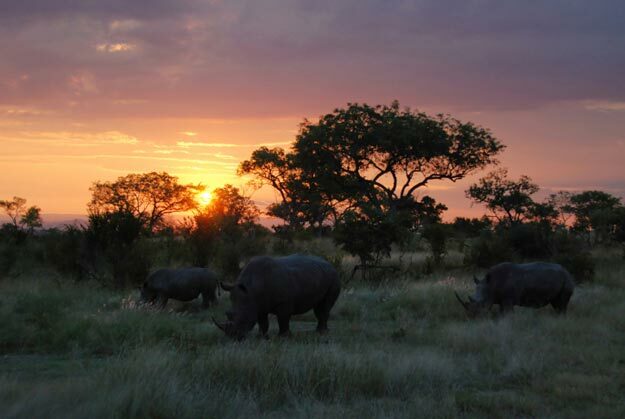 It falls under the Cape Floristic Region that is renowned for diverse and indigenous flora and fauna. On Table Mountain alone, there are nearly 1,470 species of plants. Take a stroll through the colony of African penguins at the Boulders Beach or check out the landmarks like the Cape of Good Hope. Go Hiking – Lace up your boots and walk off your kilojoules on one of the many ( up to 350) hiking trails up the mountain. The first section of the hike is a steep ascent that provides a great warm-up for hikers. You may be tempted to take the Platteklip Gorge route, which is the most direct one, but it’s also the most challenging one and not recommended for beginners. While the Skeleton Gorge via Maclear’s Beacon route affords matchless panoramic views over False Bay, the Circular walk to Maclear’s Beacon passes by the quieter parts of the mountain without much effort. There are some other trails that can be accessed from the Constantia Nek, Cecilia Park, Newlands Forest, and Rhodes Memorial. Try Adventure Activities – Thrill-seekers would love to climb through some routes of varying degrees of difficulty to the summit. There are various routes with certain difficulty levels. If you fancy abseiling, then step off the cliffs and plunge into pure vertical space. 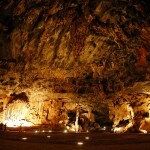 Wynberg Caves, Bat’s Cave, and Smuggler’s Cave are the famous caves that allow caving and cave scrambling. Visitors who have a penchant for mountain biking can use the famous biking route to the Block House. Other popular pastimes on the mountain are paragliding, Downhill Scooter tours, and wildlife watching. On a completely different note, make your wedding more memorable by taking vows on the six different venues atop the mountain. The month of love – February – is the most popular time here for weddings. Kirstenbosch National Botanical Garden – Located at the eastern foot of Table Mountain, this garden was founded in 1913. It is known for its impressive biodiversity of exhibiting plants from different biomes including savanna, fynbos, karoo, and more. Signal Hill, Devil’s Peak, Robben Island, Victoria & Alfred Waterfront, Cape of Good Hope, and Two Oceans Aquarium. 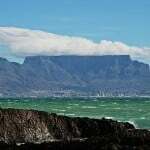 The Table Mountain overlooks the city of Cape Town and the Atlantic Ocean in South Africa. By Air – The Cape Town International Airport (CPT), 12 miles from the city center, is served by many airlines from across the world. By Train – Cape Town railway station, in the central business district, is the hub for long-distance, suburban, and commuter rail services. By Road – The foot of the mountain is easily accessible by car, cab, and even the city sightseeing bus. From Adderley bus station, take the MyCiTi (rapid transit system) Bus 107 to reach Kloof Nek, and then take Bus 110 to arrive at the lower cable car station and hiking routes. In the affluent suburb of Camps Bay, you can choose from The Bay Hotel, Atlanticview Cape Town Boutique Hotel, and Atlantic House. 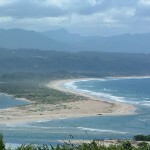 For mid-range accommodations, Bay Reflections, Villa Simona, Bateleurs Rontree, and Ocean View House, are good options. Budget travelers should check out Once in Cape Town, Ashanti Lodge Gardens, and Atlantic Point Backpackers. From mouth-watering curries to creamy caviar, Cape Town is a renowned dining destination. Treat yourself with authentic African cuisine at Addis in Cape and Emily’s Bar and Bistro, or head to the Asian cuisine restaurants like The Beijing Opera, Kitima at the Kronendal, and Hallelujah. To eat like a local, check out the food stalls in the Bay Harbour Market and Victoria & Alfred Waterfront. 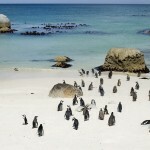 Late summer, which extends from January to late April, is the best time to visit Cape Town. 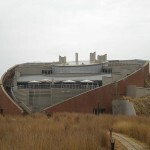 Visiting the mountain depends upon the weather conditions, as on cloudy and windy days, the aerial cableway remains closed. The warmer months between November and April are ideal for hiking. Its unique flat-topped peaks reaches 1,086 meter above sea level. The length of the summit measures nearly 1.9 miles from end to end. Maclear’s Beacon, towards the eastern end of the plateau, is the highest point. The mountain is now one of the New7Wonders of Nature. 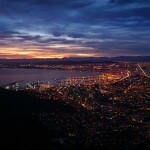 It is located within Table Mountain National Park, which forms the Cape Floristic Region – a UNESCO World Heritage Site. About six times older than the Himalayas and five times older than the Rockies, it is among the oldest mountains on the planet. Unlike most caves around the world, the caves on this mountain are made of sandstone. The floor of the cabin in the cableway rotates to allow travelers 360° views. Pack warm clothes as it is bit colder at the top. Carrying sunscreen and a hat is advisable. Near the upper cable station, you’ll find a restaurant, a café, and a curio shop. The hiking trips are suggested depending upon the fitness level of the tourists and weather conditions. Hiking and access to the most of the national park are free. Buy an afternoon ticket for the cableway to avoid crowd, and later enjoy sunsets.